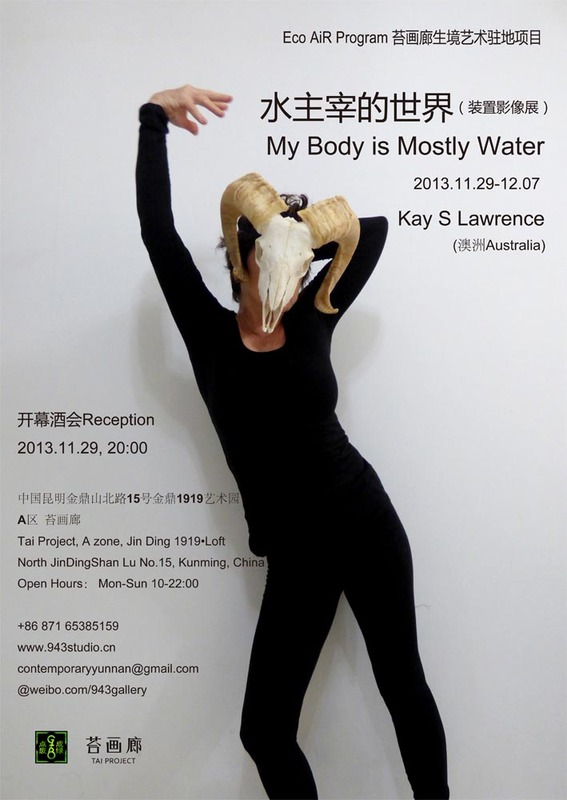 Australian artist Kay Lawrence was Greening the Beige's eco-artist in residence at Tai Project (formerly Contemporary Yunnan 943 Studio) in Kunming for the month of November 2013. Kay approaches ecology through documentary practices and traditions of handiwork related to textiles. 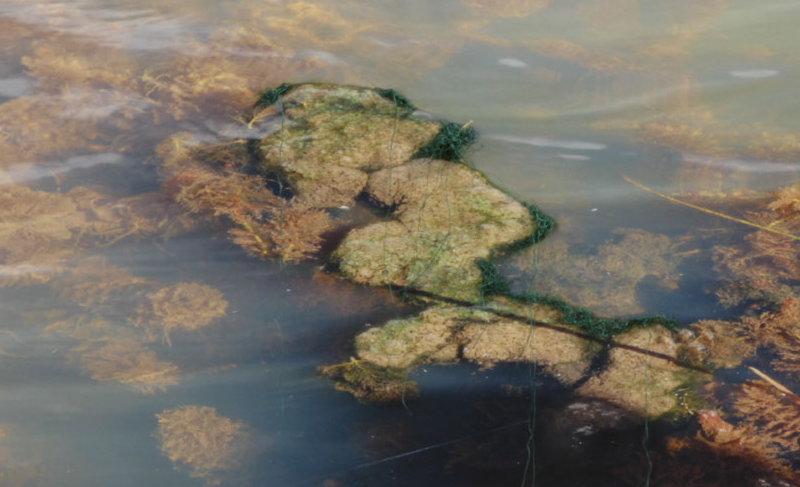 She’s a photographer; but also a textile artist, writer, sculptor and environmental advocate. My task in this residency is to focus on environmental issues, particularly water, in Yunnan, in an effort to raise awareness, problem-solve and connect with others. My work in Kunming stems from the premise that in the 21st Century it is imperative that we critically evaluate the ways in which we interact with our planet and that the relationships between nature and culture be renegotiated. In my research concerning water in Yunnan, I saw ample evidence of what we, in Australia, term "environmental vandalism" : pollution from mining, manufacturing, agriculture, building, sewerage and individuals who hurl their litter into the water! From these observations I built an exhibition, My Body is Mostly Water. Concretely, the Contemporary Yunnan residency charges a program fee in exchange for which each resident is given a neat and airy apartment, which you may share with another artist. It is conveniently located over the road from the loft complex housing your studio, Contemporary Yunnan and its associated gallery, Tai Project. Residents need to buy their own food, materials, and so on. The gallery is available for hire for an additional fee and must be booked in advance. The city of Kunming doesn't have a significant art culture, especially in comparison to Beijing and Shanghai. There are very few contemporary art galleries in this city of 6.5 million people. I come from Brisbane, Australia; a small city of 2 million people with a vibrant and thriving art culture. I had erroneously expected that Kunming would have one similarly scaled to its population, but Kunming is quite parochial, not a cosmopolitan city despite its size. Yunnan prides itself on being different to the rest of China, I have to agree that Kunming is quite different to Beijing where I had a previous residency at Red Gate. In Kunming, I am from a ‘third culture’. My identity is in flux, representing as it does a negotiation between my home culture and that of my temporary residency within the Contemporary Yunnan program. I use my art practice to make sense of this in-between-ness as well as the environmental conditions that I observed. Communicating with locals is important in that respect, yet very few people whom I have encountered actually speak English. Due to a series of events, I didn’t gain sufficient Chinese language skills to properly communicate with local residents or, in some respects, with those assisting in running the residency, who are after all trying to learn another language too - English. I was severely hampered by my lack of language skills in communicating with almost anyone, which lead to feelings of isolation not experienced before in residencies in China and Japan. Collaboration was also not possible. I would strongly recommend that any future residents learn more language than I did. Phrase books and translation apps, while invaluable, go only so far. Despite the language barrier, I was fortunate enough to be able to hold a workshop with 30 students from the Yunnan Arts University. Hopefully, they absorbed enough of my environmental messages to support environmental issues in the future.